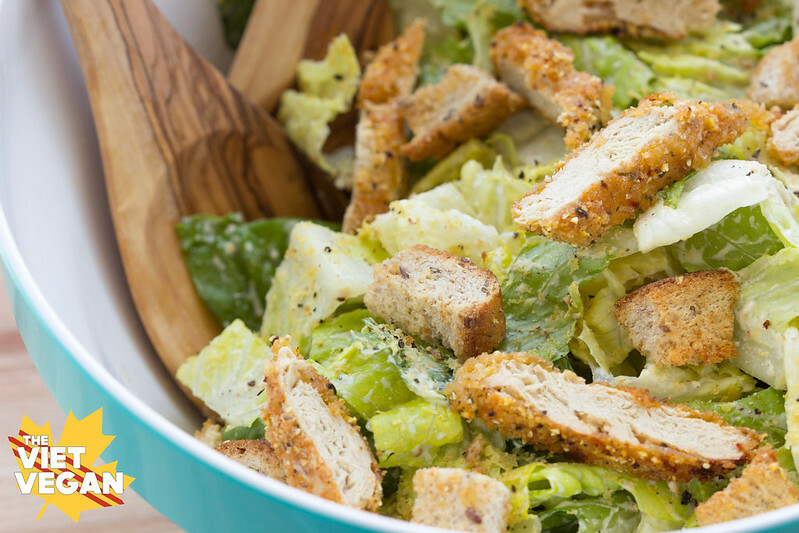 but caesar salad gets its trademark flavour from anchovies. salty and cheesy, creamy with some tang. I feel like I’m back on my two feet again. Starting to pick up the things I’ve been putting on the back burner for ages. For a while now, this place shifted from being a potential source of income to being my diary. I have found more purpose in it as a place for me to express myself than a place for me to make a living, but it’s lead me to a job I love. It’s helped me realize who I am and what I love to do, and that’s all I can ask for. I couldn’t have gotten to this point without the help of the blogging community. I’ve grown this little corner of the internet with the help of some amazing people. They’re not always easy to find, but you’d be surprised by how the blogging community can be an endless wealth of people who are happy to support each other. I’ve come across plenty of blogging “Mean Girls”. You know who they are: they’re the cliquey, “cool” kids with massive audiences and will snarl and tear others down as soon as you turn your back. The blogging world is surprising very high school. There are so many different niches, different circles of people within the same niche, but somehow I found a community of people that have been so open to sharing knowledge and happy to life each other up in whatever ways they can. I’m sure you’ve heard of them before on my blog or someplace else in the blogosphere: Online Blog Con is an online conference that offers something different from any other blog conference I’ve gone to. I went to Blissdom Canada and BlogHer Food and I had both very positive and very negative experiences with them. But physical blog conferences are all about networking and schmoozing, and I really didn’t connect with the blogging community until I joined OBC in 2012. Back then I was a teeny blog on blogspot with maybe 100 people a day visiting my blog. My photos were abysmal, my writing terrible, and I had no idea what I wanted to do with my blog. But OBC taught me the nitty gritty details of blogging, keeping me in the loop of all the constant changes happening in the blogosphere. The waxing and waning of social media platforms like Twitter, Pinterest, Instagram, even StumbleUpon would never have been on my radar if it weren’t for OBC. I wouldn’t have known anything about SEO, how to fix your site if you break it by messing with the code, which hosting companies are good, which brands are good to work with…and don’t even get me started with advertising networks. Let’s just say, this little corner of the internet would be a spec of dust it weren’t for OBC. I hope you join us for the upcoming conference in the fall. It’s a wonderful place full of friendly people who are encouraged to learn, network, and grow with each other. This year I can’t really afford to go to any big conferences that require a lot of travel like BlogHer Food, but OBC is such a small price to pay for all its ever done for me. This is my second year helping organizing it and I’m so excited to give back to the blogging community what it’s given me. We’re giving away a free ticket this week, so enter, share OBC with your friends, and I hope to see you join the OBC community! Giveaway ends July 12th at 11:59 PM EST. Open internationally. Prize is worth $52. Winner will be selected randomly through Rafflecopter and be notified by email. Winner have 48 hours to respond before a new winner is selected. 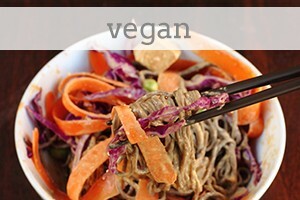 Please note that The Viet Vegan is not responsible for sponsors that do not fulfill their prizes. Once notified of the winner, Online Blog Con will fulfill their prize and in a timely manner. I will contact the sponsor regarding your prize. Online Blog Con will contact the winner with the free ticket details. If there is an issue with a sponsor, please notify the blog you won a prize from within 30 days for assistance, after that we may be unable to assist you. The product offered for the giveaway is free of charge, no purchase necessary. 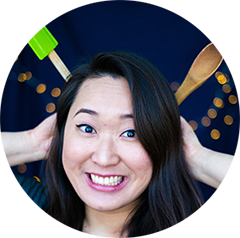 I, Lisa Le, am one of the organizing members of Online Blog Con, and this giveaway represents both my genuine values as a blogger as well as an organizing committee member. Facebook, Twitter, Instagram, and Pinterest are in no way associated with this giveaway. By providing your information in this form, you are providing your information to me and me alone. I do not share or sell information and will use any information only for the purpose of contacting the winner. In other news, if you’ve been following along with me via Snapchat (add me @thevietvegan! ), you’ll know that I’m in Pennsylvania. It’s a trip we make every year to drive my cousin back home after she’s stayed with me for a few weeks. It’s been interesting watching her grow up over the years. She loves caesar salad, and I promised her we’d veganize caesar salad for her to eat while she was here. 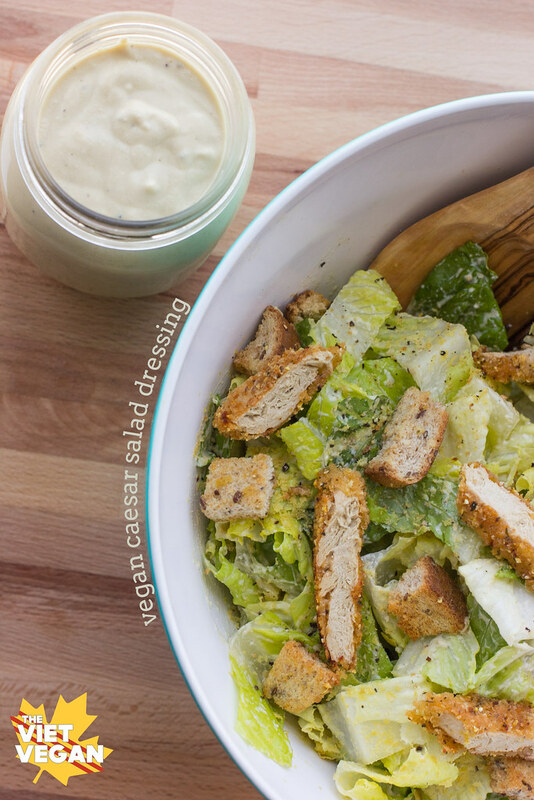 After two batches of caesar salad dressing experiments and probably about a week straight of caesar salad, we perfected the recipe together. It’s surprisingly simple, the dressing. 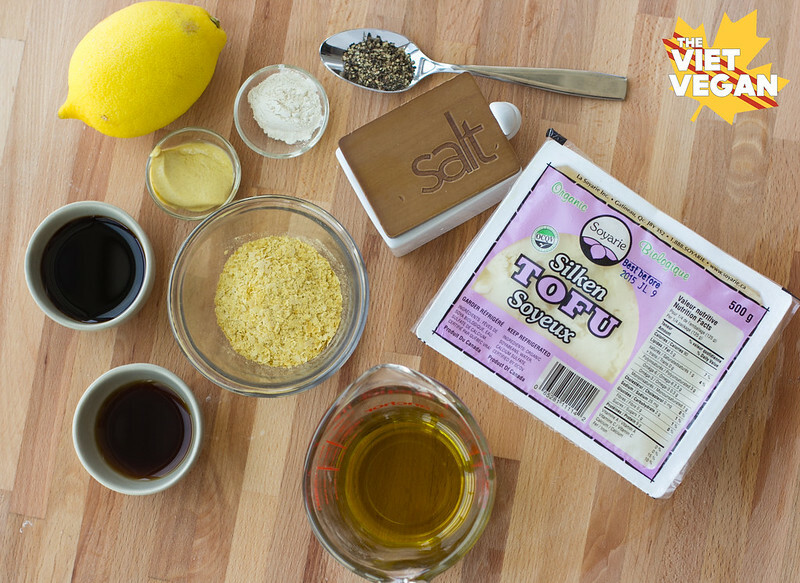 A lot of the ingredients I already had in my pantry, and the silken tofu lends its creamy texture without being heavy with fats like a nut-based dressing would be. It’s light and flavourful and I don’t even think twice about loading up my salad with a huge dollop of dressing. 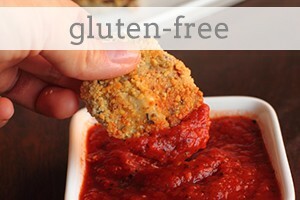 Sprinkle some extra nooch on top to get that parmesany flavour, toss with some baked Gardein crispy strips and homemade vegan croutons because I doubt I could find any vegan ones out there. The only thing that would make this better is some coconut bacon strips. 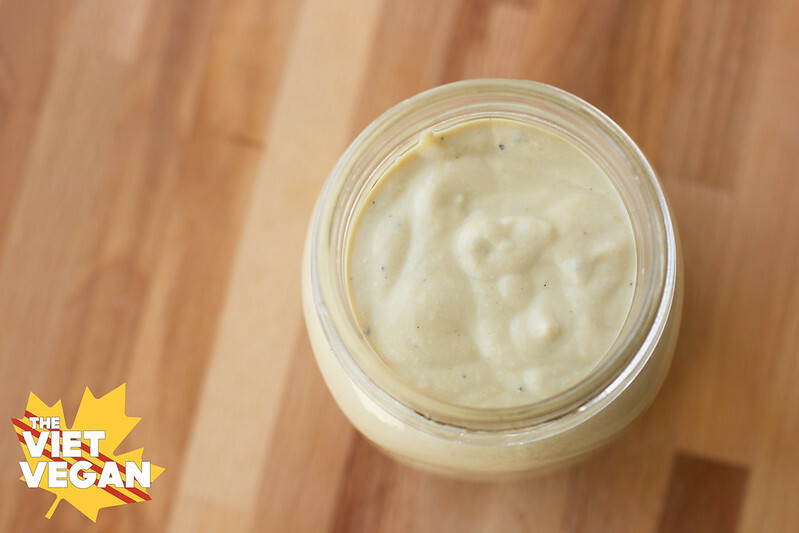 To make the dressing, combine silken tofu, olive oil, tamari, lemon juice, nutritional yeast, salt, dijon mustard, garlic powder, Worcestershire sauce and black pepper in a food processor. Blitz until smooth and creamy. Scrape down the sides and puree until uniform. Transfer to a clean jar. 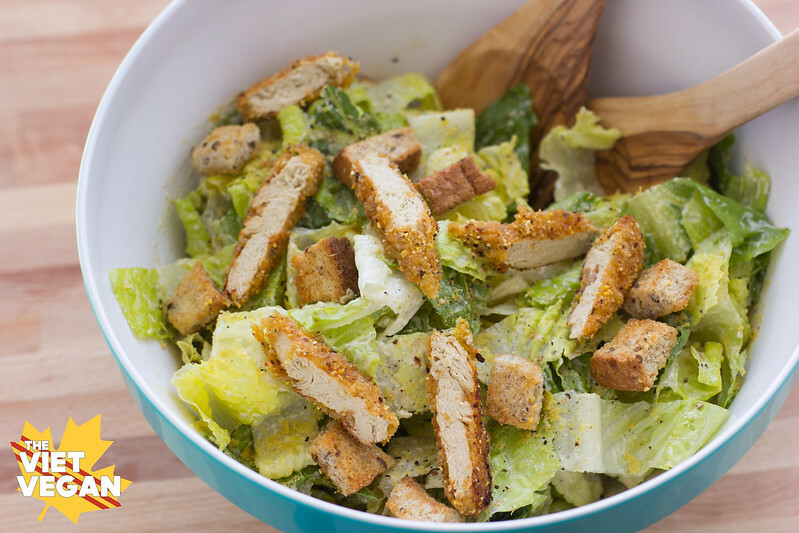 To make the salad, toss chopped romaine hearts with desired amount of dressing. Serve with a sprinkling of nutritional yeast, a crack of black pepper, croutons, and some baked turk'y cutlets. you hit this one out of the ballpark! 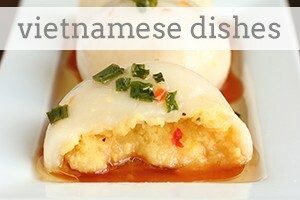 Like you, I have tried numerous lack luster recipes. Thanks for cracking this one. Yep thats why I use a vegan worchestershire sauce. There are many brands that are vegan friendly.